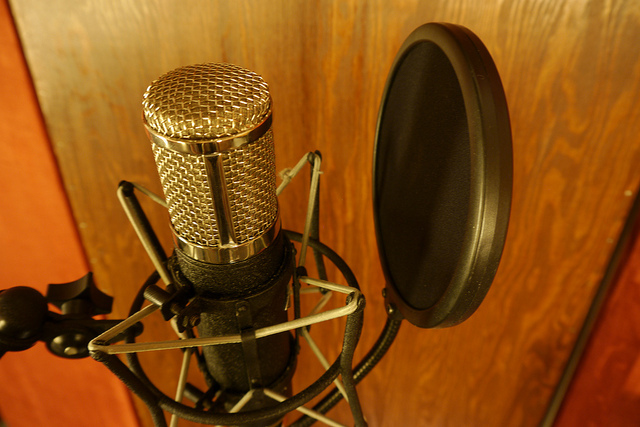 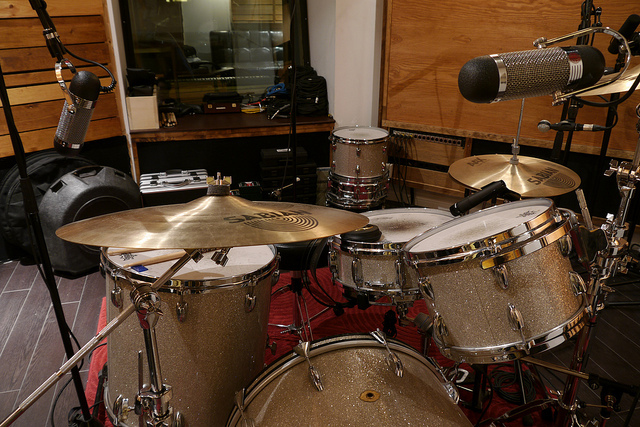 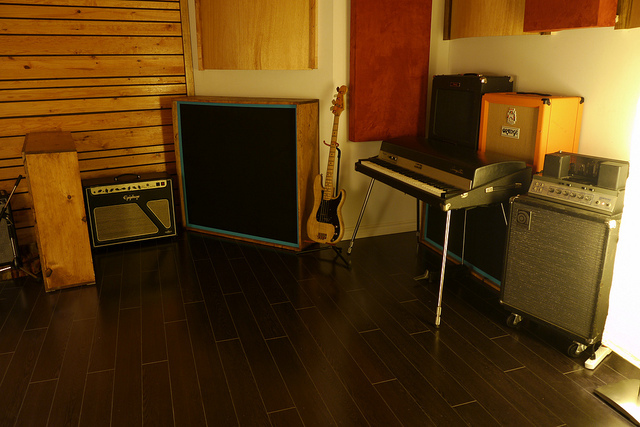 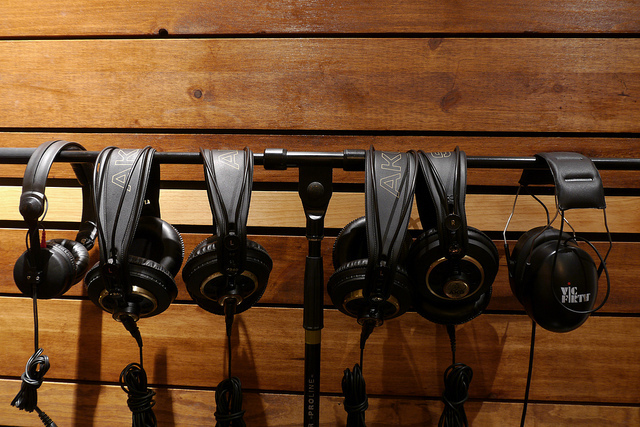 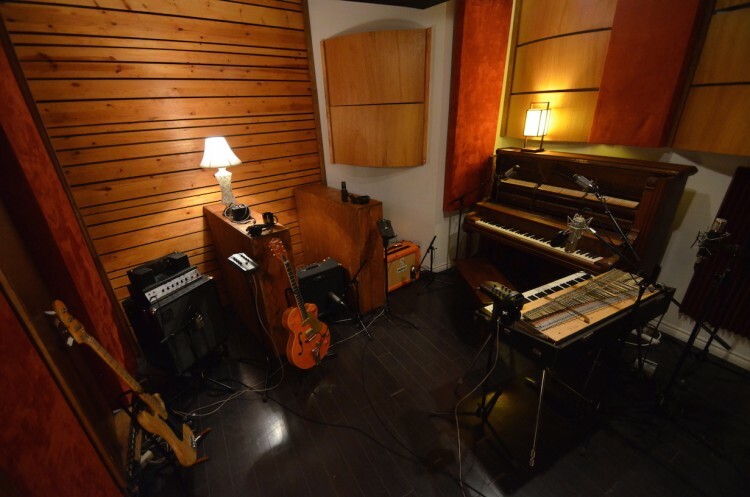 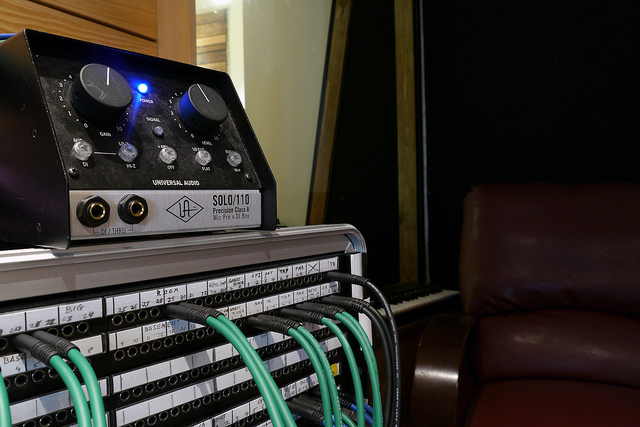 The studio consists of three main rooms and one isolation room for amps. 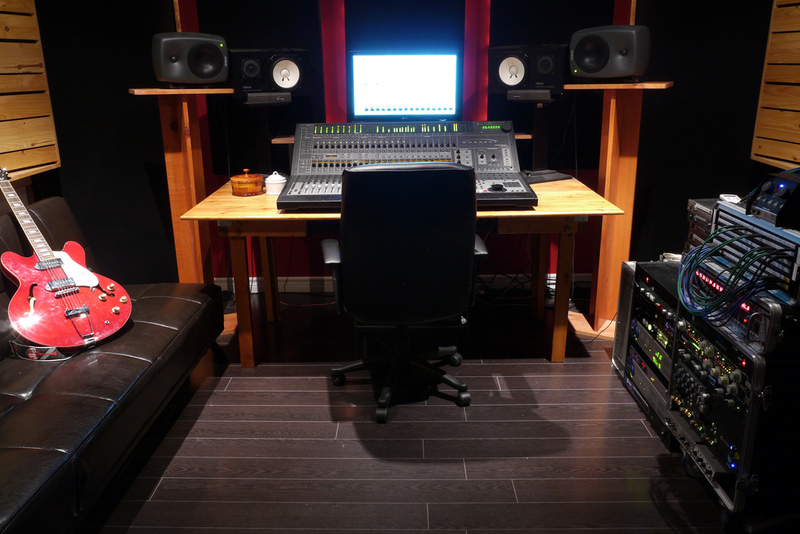 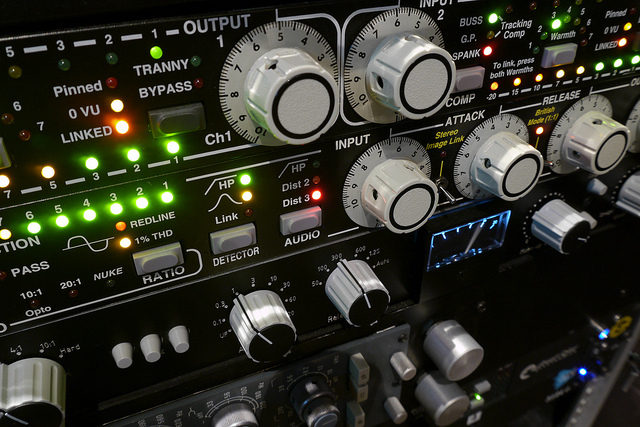 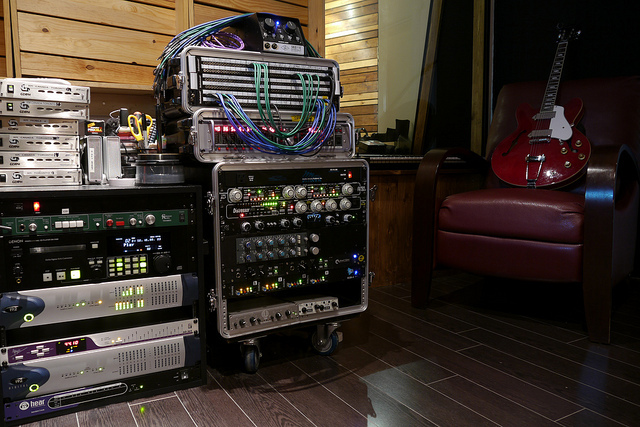 The control room has great monitoring (Yamaha NS-10’s, Genelec’s, and an Avantone mono reference), great pre-amps (Neve, API, Great River, Universal Audio, ), and select pieces of outboard gear that we just couldn’t live without (Universal Audio 1176 Blackface, Distressor, Fatso, Pultec EQ, API Eqs). 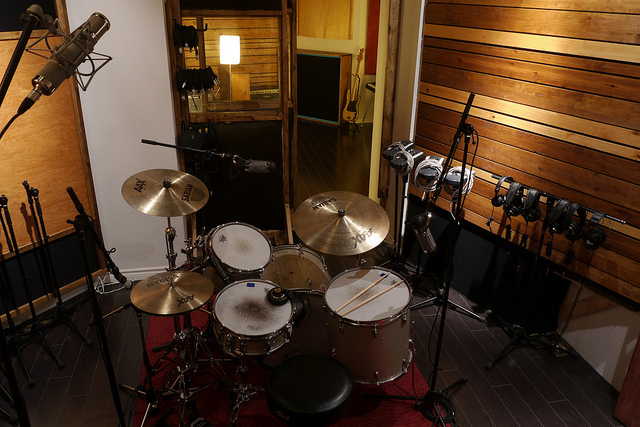 The recording room can either be treated as one long rectangular space, or baffled off with rolling baffles and used as two rooms with great site lines. 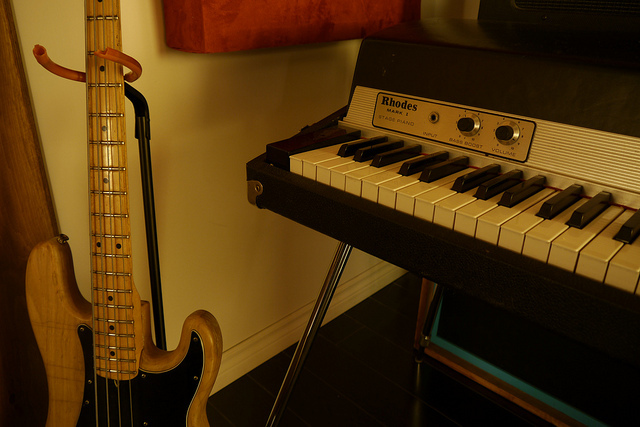 We have a great drum kit (Slingerland 5pc Studio King Re-Issue), a vibey retro bass amp (1970s Ampeg B15-M), and several guitar amps in house (Orange, Peavy, Epiphone). 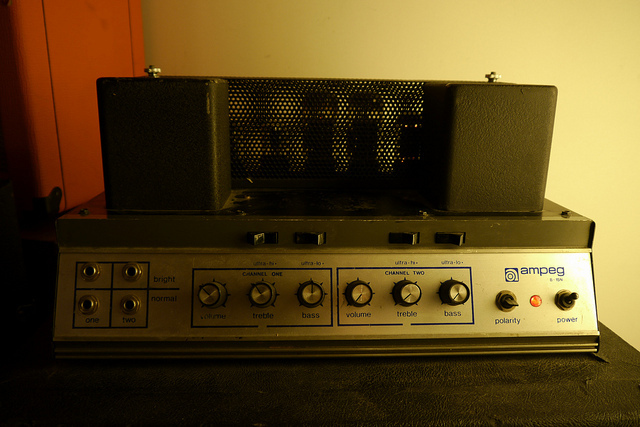 Ampeg B-15N 70s tube bass amp.